One may have heard the much clichéd term – ‘never keep all your eggs in one basket.’ When it comes to financial investing, this is however true. Portfolio diversification is a technique used by savvy investors that does just that. It is a well-researched, concerted strategy that reduces the risk of a portfolio by spreading investments across a number of asset classes, financial instruments, industries and commodities. We go on to discuss this topic in detail throughout this article. out by professional financial advisors who advise their clients on where to put their money. The calculations of risk usually take into account two types of risks: un-diversifiable and diversifiable. Un-diversifiable risk usually refers to risks that are systematic. Otherwise known as ‘market risk’, these are risks that are common to all asset classes, stocks, bonds and the investor has no choice but to accept this risk. Examples of these risks could be interest rates, exchange rates, rates of inflation, political situations, war, or even Brexit. What else should I know about risk? Diversifiable risk, however, refers to risks associated with specific industries, countries, asset classes, company stocks, etc. The investor can choose not to invest in a certain country or industry in order to avoid the associated risks. The objective of the diversification exercise is to make investments in different asset classes in a way that ensures that the overall portfolio gains. This happens by offsetting the risk associated with a particular asset class with the gain enjoyed through investments in another asset class. Real estate and commodities are asset classes often added to stocks, bonds, cash and financial instruments when planning a diversified portfolio. Silver is a commodity, as is gold. The two precious metals have always been a safe haven for investors hedging against market risk and inflation. Inflation slowly devalues cash held by an investor in bank accounts and cash deposits. The rate of interest provided by banks fails to offset the risks of inflation. As inflation triggers price rises everywhere, the price of silver also rises and protects investors against inflationary forces. Similarly, when stock markets crash, investors pull their money out of markets and move it into traditionally safe havens like real estate and precious metals. Again, the price of silver rises, making it an attractive investment to hedge against market risk. In 2011, the US debt ceiling crisis saw Moody’s and S&P downgrading their rating of the US economy. As a result, silver prices peaked and on April 25, 2011, silver traded at $49.80 per ounce on the New York spot market. Our investment experts are always available to discuss your investment needs and can help you diversify your investment portfolio by investing in silver. Call 020 7060 9992 to speak with one of our advisors or email us and we will be in touch with you. 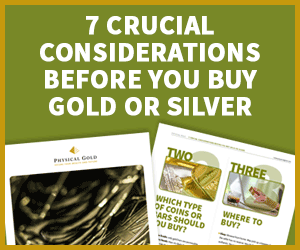 Once you decide to invest in metals to diversify your portfolio, we can help you make the right choice. 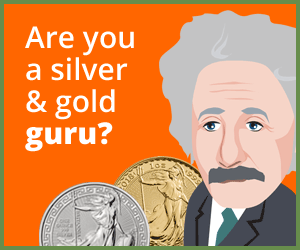 This entry was posted in Blog and tagged benefits of silver, Silver in a Diverse Investment Portfolio.